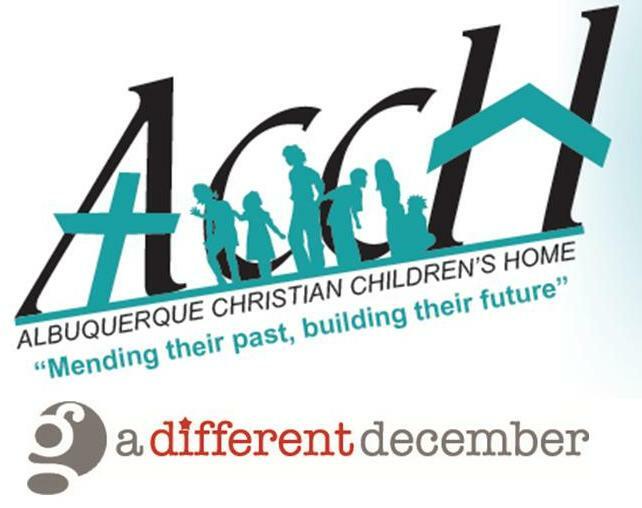 Today we will be finishing our Different December outreach in great fashion but hosting the residents and house parents of the Albuquerque Christian Children’s Home. The ACCH is dedicated to providing God’s love and care to school-aged children who are neglected, abused, or in need of a home and family through long-term and short-term residential care. The Garrity Group’s Christina Grant identified the ACCH for her own unique reasons. “The ACCH opens their doors to kids that most people walk away from and do an amazing job that makes a real, positive, tangible impact. I know, because there was a time in my life that I was one of their residents. When I was 13 years old, my life took a difficult turn that resulted in me living at the ACCH. I was thankful to have had a safe place to live that not only provided shelter, food and clothing, but also a supportive, family-oriented environment. Many of the children there have struggled their entire lives just to survive and have never had a safe and healthy place to call home. I was luckier than most, I had family members in the area and did not grow up in the same harsh environment as many of my friends. Many of these children have never had a place to call home or even a place where they were provided the basic necessities. During my two years as a resident there, I learned how to face my own personal challenges and experienced the true meaning of grace. The Garrity Group will be hosting 12 residents and the respective house parents from the Albuquerque Christian Children’s Home for dinner and dessert at Lumpy’s Hamburgers. In addition, because of your gracious gifts, each child will receive a gift from their wish list. If you’d like to help, just click on this link and donate as a part of the “Garrity Group Fund”. Thank you for helping us make this a Different December! Our Different December outreach today features an organization that was founded in 1956 by a group of concerned citizens who saw a need in their community for better care for vulnerable children. 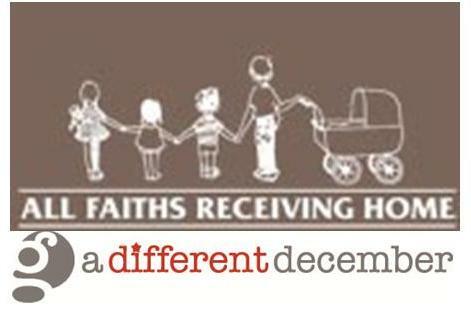 All Faiths Receiving Home provides services to children and their families in a healthy environment which includes education, treatment, advocacy, food, clothing, affordable and safe housing, and supportive and nurturing care givers. Today, for a Different December, The Garrity Group’s Ariel White provides a different look at charity providing assistance to participants in the New Day Youth and Family Services. In 1976, the founders of New Day discovered that homeless and runaway youth in Albuquerque had no safe home or shelter facility to turn to for help. New Day is Albuquerque’s first and only runaway house. The objective of the program is to protect runaway and homeless youth, ranging from 11 to 17 years of age, in a residential setting with the ultimate goal of reuniting youth to their families, or locating a safe alternative. 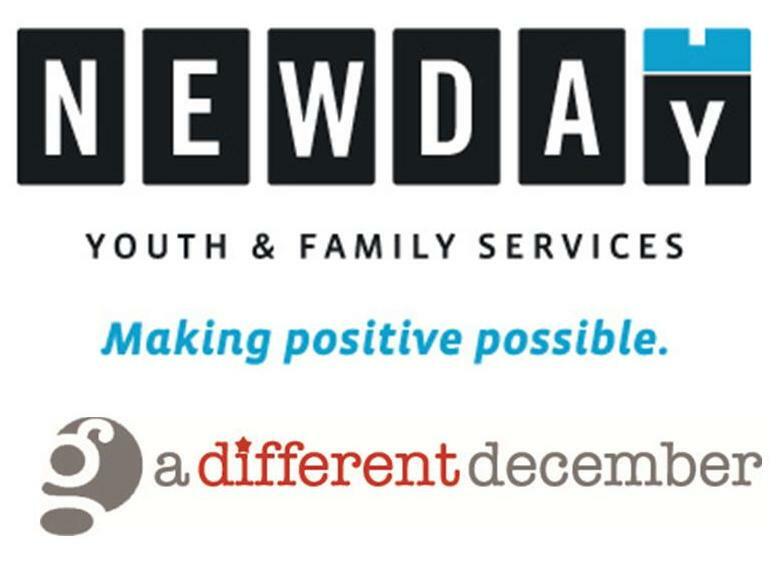 Over the years New Day has developed many new services according to requests by the community to full fill the needs of struggling at-risk youth and families. The Garrity Group will be visiting New Day on December 13 to teach a class on work skills for the residents. The class will include how to interview, resume writing and workplace communication. Other ways you can is by purchasing a $50 School Survival Kit that includes: 3 ring binder, daily planner, divider, pens, #2 pencils, loose-leaf college ruled paper, college lined spirals, highlighters, graphing calculator, thumb drive. You can also purchase a $150 Apartment Ready Kit that includes: Mac and Cheese, ramen, set of silverware, plate, bowl, laundry detergent, all purpose cleaner, rags, can opener, set of cooking utensils, roll of quarters. For more information visit http://www.ndnm.org/get-involved/intro. 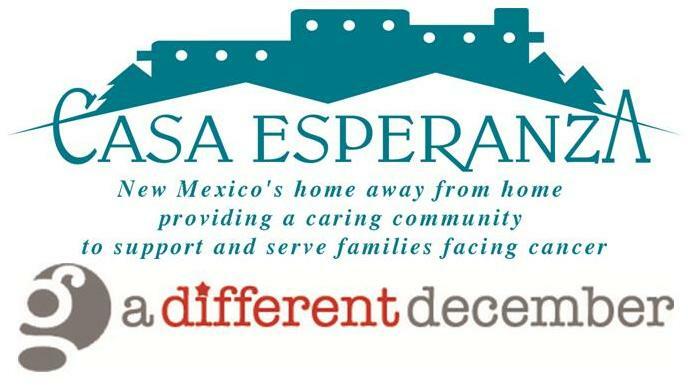 The second week of The Garrity Group Different December outreach will focus on Casa Esperanza. Members of our team will cook its guests an authentic New Mexican dinner with the help of the generous donations of Bueno Foods. Founded in 1987, Casa Esperanza provides a home away from home for families facing cancer. Casa Esperanza serves families who are referred to Albuquerque for cancer treatment, regardless of their financial situation. Today the 18,000 square-foot residence can accommodate 28 families at a time. In addition to housing, Casa Esperanza also provides clinical counseling as well as patient navigation and survivor services to support cancer patients. There are multiple ways you can help by donating your time cooking a meal, volunteering at a special fundraising event or providing administrative support. Casa Esperanza is also in need of a variety of kitchen, office and house supplies. Please visit http://www.casaesperanzanm.org/getinvolved.html to learn more about how you can help. The Garrity Group’s Different December outreach focuses today on the Roadrunner Food Bank. 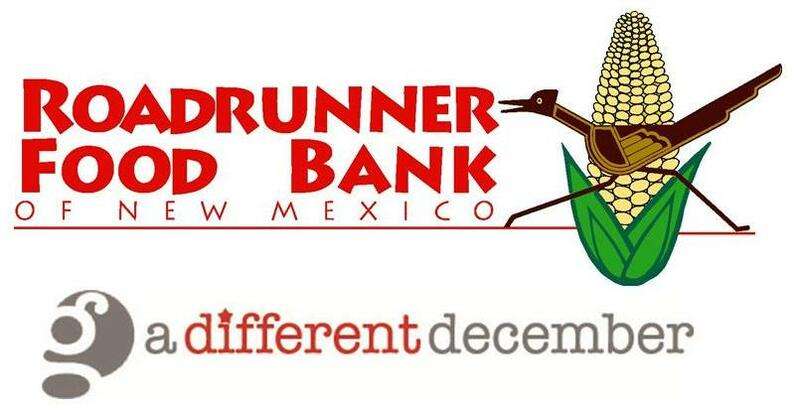 Founded in 1980 Roadrunner Food Bank is the largest in New Mexico, distributing more than 26 million pounds of food every year to a network of hundreds of partner agencies and five regional food banks. The agencies Roadrunner serves includes food pantries, shelters, group homes, soup kitchens, low-income senior housing sites, and regional food banks. In addition to distributing food through partner agencies, Roadrunner Food Bank runs several direct service programs to help end hunger in New Mexico. Today, the Garrity team will be collecting peanut butter and other canned goods then packing boxes of food for delivery. Today, A Different December will focus on a program that’s been serving Albuquerque for the past 25 years, the Barrett Foundation. Focusing on women and children, the foundation runs several programs including The Barrett House, an emergency shelter for women and children experiencing homelessness; Casa Milagro, a group home for women over 35 with psychiatric disabilities; Bridges to Self-Sufficiency, a transitional housing program offering single women with or without children a stepping stone to independent living; Casa Verde, a permanent housing facility for 13 women living with chronic mental illness and Casa Socorro, a permanent housing program for single women who have been chronically homeless. The Garrity Group, partnering with the Barrett Foundation, is adopting one of the Bridges to Self-Sufficiency families for the holidays. Our team will be fulfilling the wish-lists for mom and her three children aged three weeks to nine years old. Some of the items so graciously donated and secured for this family includes a crib, changing table, king-size bed frame and dresser. While I seem to be doing a lot of travel over the past several months, The Garrity Group’s Different December outreach will focus on an organization that has been on the road for the past 39 years… Meals on Wheels. Meals on Wheels of Albuquerque provides services that enable those who are unable to prepare their own meals to have a hot, healthy, well balanced meal delivered to their door Monday through Friday. Meals on Wheels serves anyone of any age who is in need and offers special accommodations for 7 different diet types. The program not only delivers a nutritional meal, but also a friendly smile at the client’s door. Today The Garrity Group will help prepare meals for the Meals on Wheels clients. You can also help through a donation of $30, that will feed someone for one week, or volunteering your time by helping prepare and package food. For the past six months, The Garrity Group team has been brainstorming different organizations to come along side and assist as a part of our inaugural Different December program. The team identified eight organizations to assist in various ways, a full list can be found on our website in the Different December section. In addition to our team, we wanted to raise awareness about these nonprofits and provide an opportunity to our clients and other friends of the firm to join us as a part of our outreach. The first nonprofit we are assisting is a familiar organization, the Ronald McDonald House Charities of New Mexico. Having served on their board for seven years, last two as chairman, their statewide outreach to families in crisis is one of many reasons we are coming along side to help. Serving our state since 1982, the Ronald McDonald House Charities of New Mexico’s mission has remained constant: provide temporary affordable lodging and respite services to families with critically ill children. The 30 rooms house, located adjacent to University Hospital, is a home to families who have seen their lives change in an instant. In addition, families can also get some rest at University Hospital in the Ronald McDonald Family Room. Today members of the TGG team will be making and serving dinner. The menu includes: spaghetti, meatballs, salad, garlic bread and dessert. How you can help: You can come down and help us prepare the meal (just let us know you are coming). You can also help financially to support the organization through a contribution for a future meal or help with the current renovation of the House. 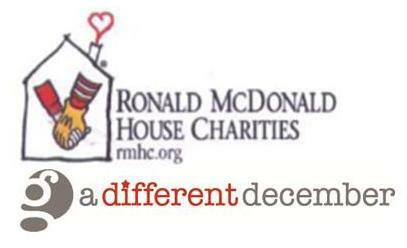 Here is the link with more information: www.rmhc-nm.org.